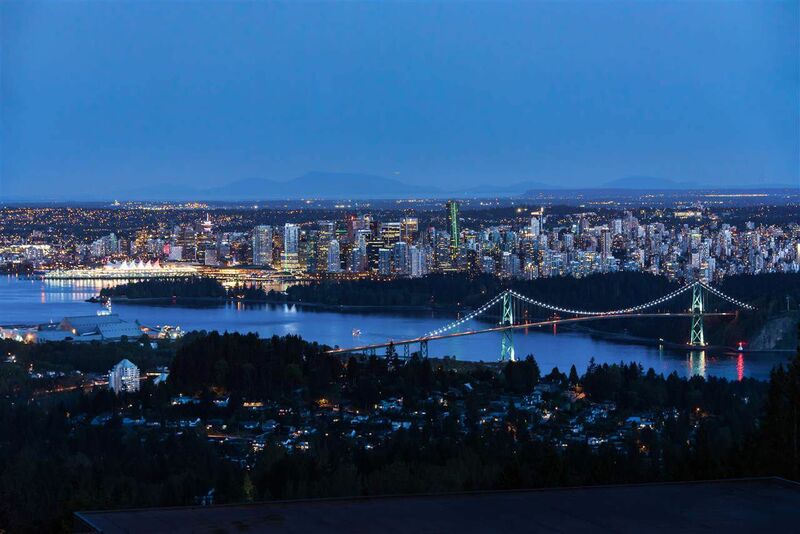 PANORAMIC 180 degree VIEW of downtown, Lions Gate Bridge, Spanish Banks & Vancouver Island! A spectacular private view estate, one of the largest lots in the Prestigious British Properties (Chartwell). This masterfully designed residence exudes European Tuscan charm & luxury living in the sought after Chartwell area. A south facing, over half acre lot (23,465 sqft) offers 6 bedrooms and 4 bathrooms in a fully renovated 3258sqft of one level living at its best. From the moment you enter this beautifully landscaped open concept sun drenched home, you will fall in love with the floor to ceiling windows and fabulous indoor/outdoor living overlooking the breathtaking views!